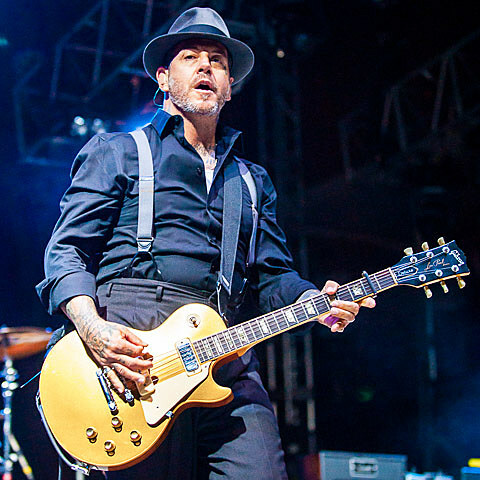 It’s been 25 years since Social Distortion released their self-titled third album, which was their major label debut and furthered the punk band’s trek into rockabilly (including a cover of Johnny Cash’s “Ring of Fire”). In addition to that cover, it also has some of their most iconic original songs including “Story of My Life,” “Sick Boys,” “Ball and Chain,” “So Far Away” and more. For the album’s anniversary, they’re performing it in full on tour this summer and also promising “classic tracks and rarities from their extensive back catalogue.” Support comes from Nikki Lane and Drag the River. The tour doesn’t hit NYC, but it will be nearby for an Asbury Park show on August 22 at Stone Pony Summerstage. There’s also a Philly show at Festival Pier on August 19 which could be worth the trip from NYC, considering Lucero and Benjamin Booker are on that lineup too. Tickets for those shows (and the whole tour) go on sale Friday (4/24) at 10 AM, and various presales start Thursday (4/23) at 10 AM.